I stopped counting the number of terrible bike shop experiences that we had while trying to find the kind of bike we wanted, because it was too depressing. Not only was no one selling cargo bikes, most shops weren’t even selling child seats. Asking for “family friendly” bike shops meant we got referred to shops that had a couple of crappy kids’ bikes that weighed as much as anvils (with training wheels, in gendered colors) and stocked a few kids’ helmets. I was routinely ignored when I visited bike shops without my husband, and we were treated like lepers when we brought the kids. We visited one particular shop because they stocked Yepp seats, but when my daughter climbed into one to see how she fit, they yelled at us that it was for display only and she started to cry. I will never forgive them for that. I’m still not sure why we persisted in the face of such open hostility, but we did. Ultimately we got a recommendation to visit a new bike shop in our neighborhood, Everybody Bikes, and although they have gone through some ownership changes, they were kind to us then and still are now. 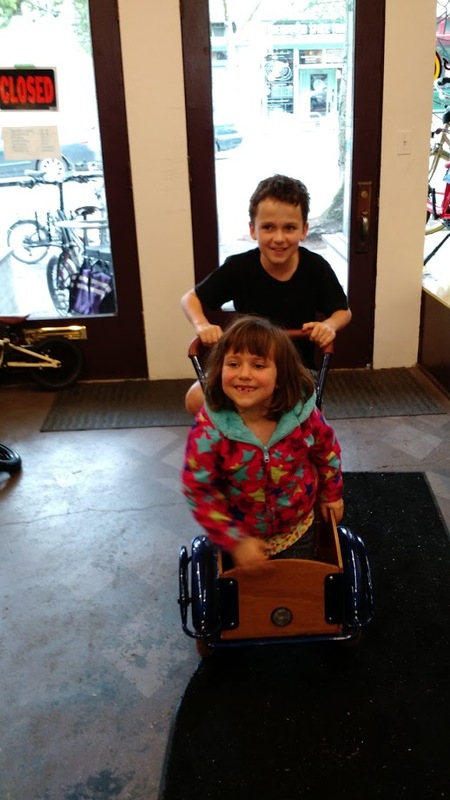 They don’t really think of themselves as a family bike shop, but they were happy to set up our first cargo bike, the Kona MinUte, to carry our kids. Less than a year later, when we decided we wanted a real two-kid hauling family bike, there were really no local options. So we headed to Portland, which at the time had multiple bike shops that wanted to work with family bikers (Clever Cycles, Splendid Cycles). Shortly after that things started to get much, much better in the Bay Area for people like us. 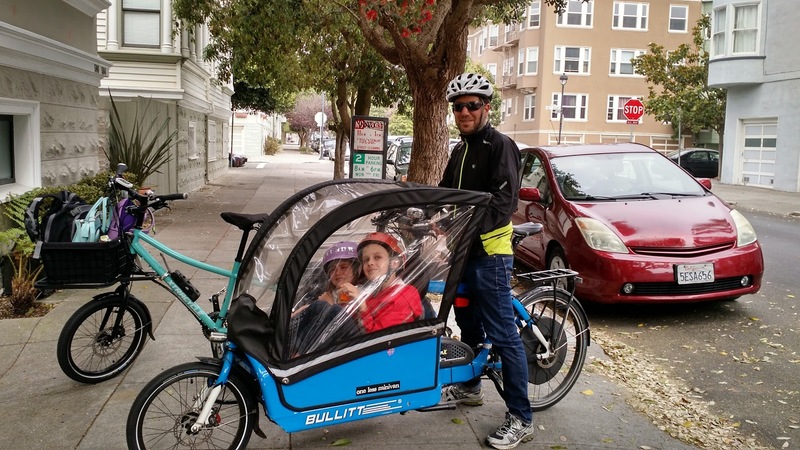 We found another family friendly bike shop (Ocean Cyclery) and a formerly virtual shop focusing on assisted bikes (The New Wheel) opened a store front in San Francisco, and later started selling family bikes. Then a huge family bike shop (Blue Heron Bikes) opened in Berkeley, which is not exactly nearby but is close enough to visit on a weekend. Sometime after that a virtual shop opened in San Francisco (Vie Bikes) that specifically focused on renting and selling family bikes. Finally, someone had figured out that there was a huge and underserved market of people like us. In the meantime I’d realized that Seattle was chock-full of family biking bloggers like me, even though there wasn’t a family bike shop there either. From my perspective this was almost as good as having a bunch of family bike bloggers in the Bay Area, because I grew up in the Seattle area and my mom still lives there so we visit regularly. When Madi of Family Ride organized a Seattle cargo bike roll call, I got to meet a bunch of them in person, and it was awesome. That’s where I met Davey Oil (Riding on Roadways) in person, who is also awesome. And in 2013, he and his friend Tyler opened a family bike shop in Seattle, G&O Cyclery. This Metrofiets is one sweet ride. G&O was supposed to open in the summer, but right before the scheduled opening, the building caught fire. So it actually opened in the fall. We visited when we were in town, more than once, and loved it. My kids ran around the shop like monkeys on speed, but Davey and Tyler had kids of their own and they were cool with that. Thanks to G&O I was able to try EdgeRunners with Stokemonkey and BionX assists back to back, and the Juiced ODK, and a fantastic customized Metrofiets that I haven’t managed to write about yet. 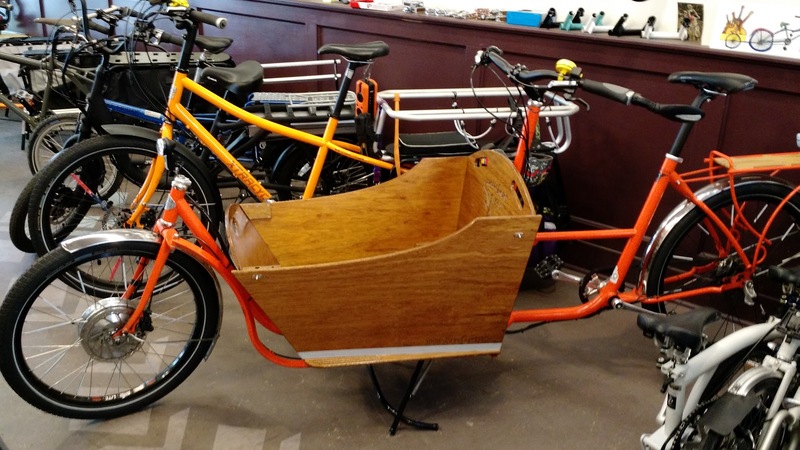 They stock great cargo bikes and child seats and stellar kids’ bikes and they are willing to try all kinds of eclectic things that might get families on bikes and will talk my ear off about all of it, which in the last five years has become one of my favorite activities. While we were there, people stopped by the shop all day to look at bikes or just to talk. My friend Madi told me she had a cubby there. Unlike most bike shops in the US, they offer employees health insurance. And although they’re based in Seattle, Davey regularly posts advice on to the San Francisco Family Biking Facebook group. Even though G&O is a bike shop it feels like a corner cafe in Paris, the kind of place that everyone goes to hang out. It still kind of amazes me that while five years ago I would have been happy to find a bike shop where I wasn’t treated like a pariah, now there are bike shops where families are genuinely welcomed. G&O is our kind of bike shop. 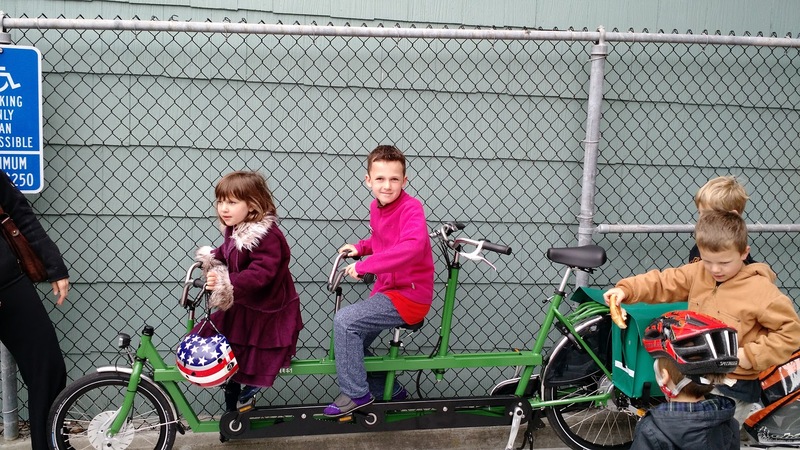 As in San Francisco, it turned out there was a lot of unmet demand for a family bike shop in Seattle too, because this year they were ready to expand. Unfortunately last Tuesday night there was a natural gas explosion in their neighborhood that destroyed the shop and some of its neighbors. It was like something out of Monty Python (“so I built another castle…”) except it wasn’t funny. I am devastated for them because I love their shop, but I’m also sad because there are so few shops like it; in the US, I could probably count them all without running out of fingers and toes. When I write bike reviews, I mention things that I like and don’t like, because even though I love all the family bikes I don’t believe there is such a thing as a perfect bike. But I do think that people who love family bikes can create perfect bike shops. G&O is a perfect bike shop. And now it’s struggling: who gets so unlucky that their shop burns down twice in less than three years? Businesses don’t always feel like friends. Our son adores the taqueria down the street, and we would notice if something happened to it, but we wouldn’t worry about what life might be like without it. Yet some businesses are different, because the people who run them are different. In Capra’s It’s a Wonderful Life the community is better because a bank invests in the people who live there, and in turn the people who live there fight to save it. We haven’t had the chance to visit G&O very often, but even one visit would be enough to know that it’s worth fighting to save it. If you’ve ever visited G&O, or wish that there were more places like it, there are ways to help listed at Save G&O. If you’re just here for the reviews, we are returning to Seattle this July, and on every visit so far G&O had a new interesting bike or three for us to ride, so it’s worth throwing in for that too. Their building is in ruins, so they’re looking for temporary space for now, but wherever Davey and Tyler land in the next few months, we’ll find them. All’s well that ends well. I have completed my surgical hat trick of being operated on at every UCSF campus, and am feeling fine. Better every day, in fact. 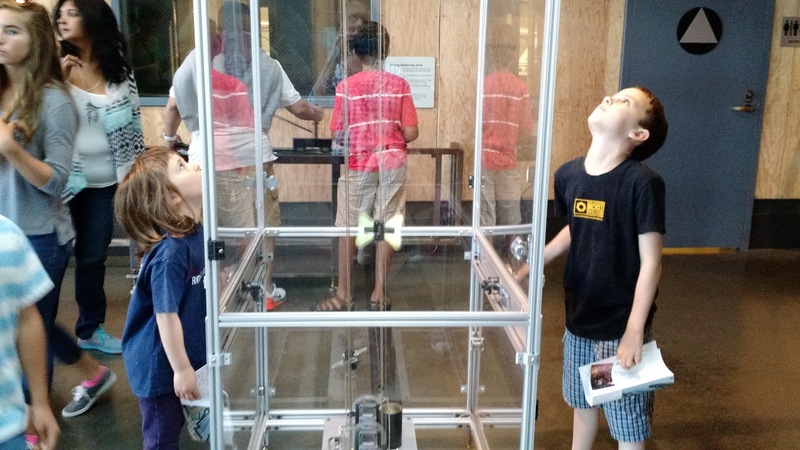 After that, I took two weeks of vacation and used the SF Public Library’s Family Pass program to take the kids to nearly every museum in San Francisco and environs. A friend of mine once described the experience of using the library’s family pass program as entering the family version of Eddie Murphy’s “White Like Me” sketch on Saturday Night Live. “Oh you have kids? You can visit for freeeeeeeeeeee!” Even so the family passes used to be something of a hassle to use, as getting into popular museums involved sprinting down to the local branch first thing in the morning at the beginning of the week. The SFPL recently joined the rest of us in the 21st century, though, and now you can download passes electronically for any available date. It is, in a word (an overused word): awesome. I realize I may be undercutting my own best interests next summer here by putting that out on the internet. You’re welcome. My other vaguely public service type action over the last few weeks was also internet-related. Those of you active on Facebook may be aware already that there are a couple of very active family biking groups local to Seattle and Portland. 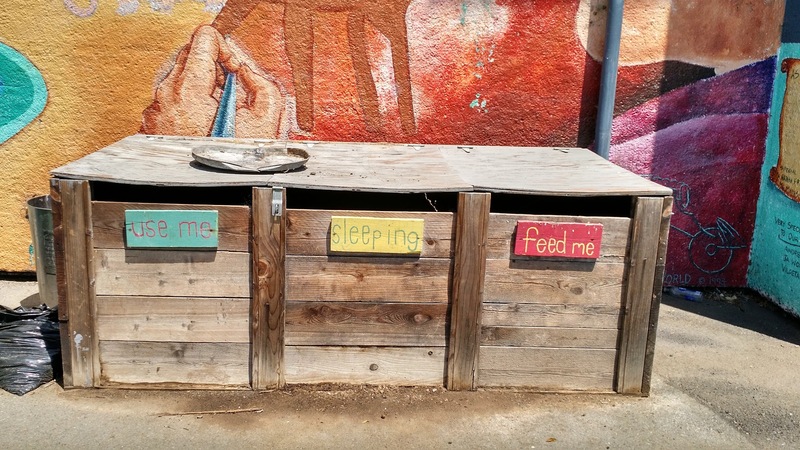 I am ashamed to admit that I have known about both for years, and posted to both, and yet it never really crossed my mind that such a thing might be nice to have in San Francisco. 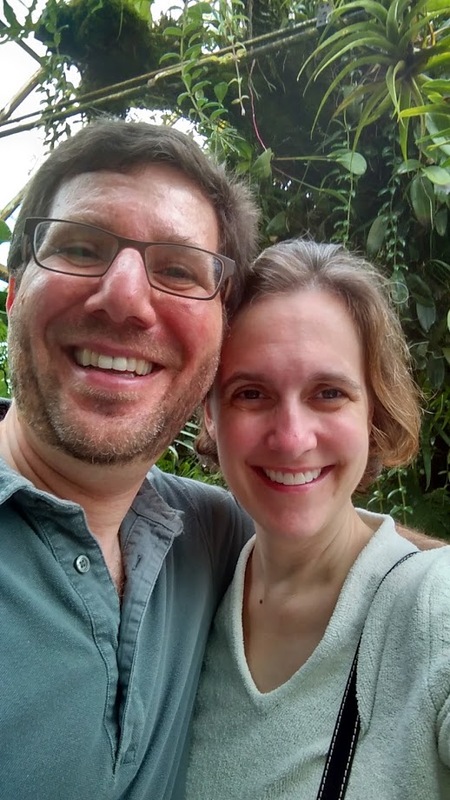 However I recently met two families who had moved to San Francisco from Seattle, and finally felt guilty enough after meeting them both at a local taco shop during our homestay vacation (Hi Cate and Elisabeth!) that I created a San Francisco Family Biking Facebook group myself. It’s a public group (for the time being at least) and anyone is welcome to join. Hope to see you there! Another thing I did this summer was try some new family bikes to hit the market: the new mid-drive Xtracycle EdgeRunner and the Juiced ODK. And we hope to do a short-term rental of Yuba’s new Spicy Curry from Vie Bikes one day soon as well. 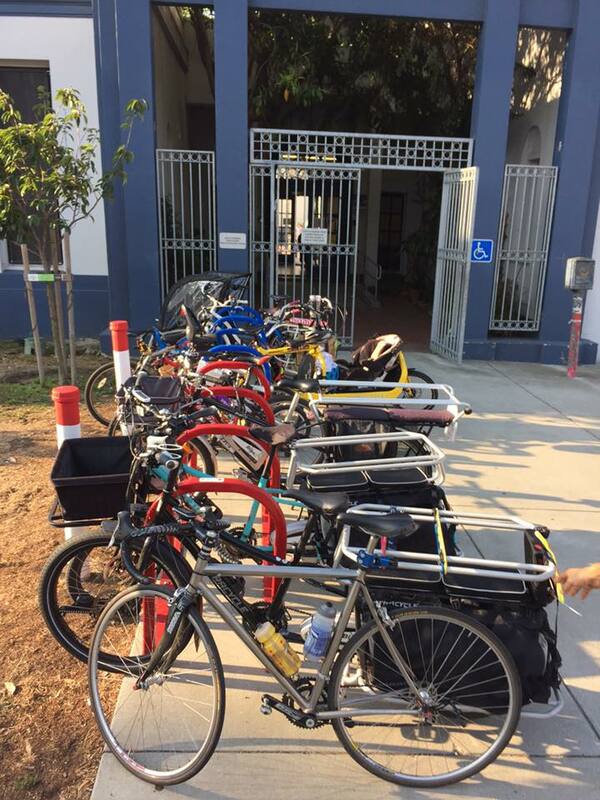 In the meantime, today was the first day of school, and Team Bicycle remains strong at Rosa Parks Elementary. 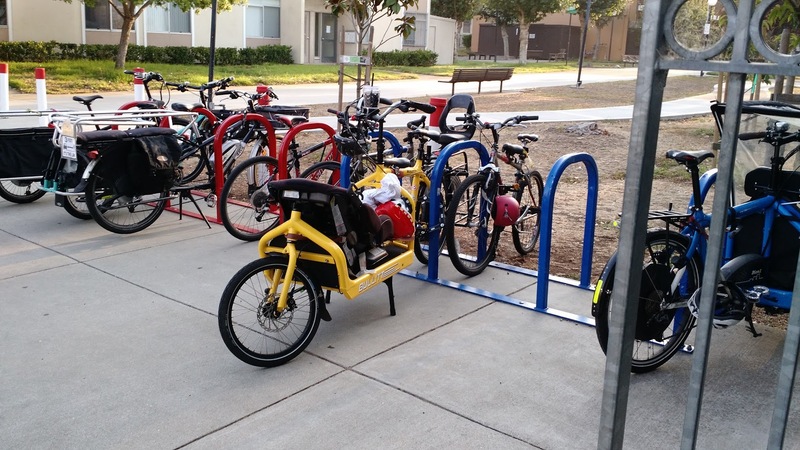 We’re going to need more bike racks.